Pumpkin Marshmallows on Cupcakes are fluffy, sweet, Halloween treats. 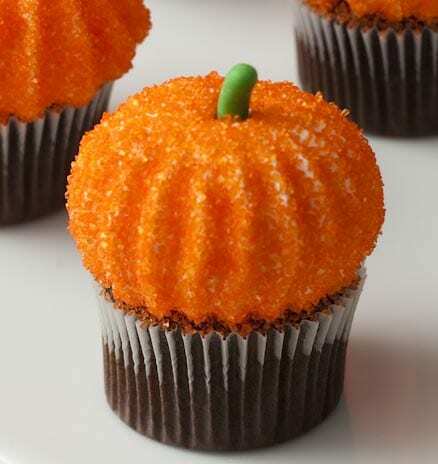 Mini marshmallow pumpkins replace a traditional frosting and make these little cakes unique. Halloween is here again! 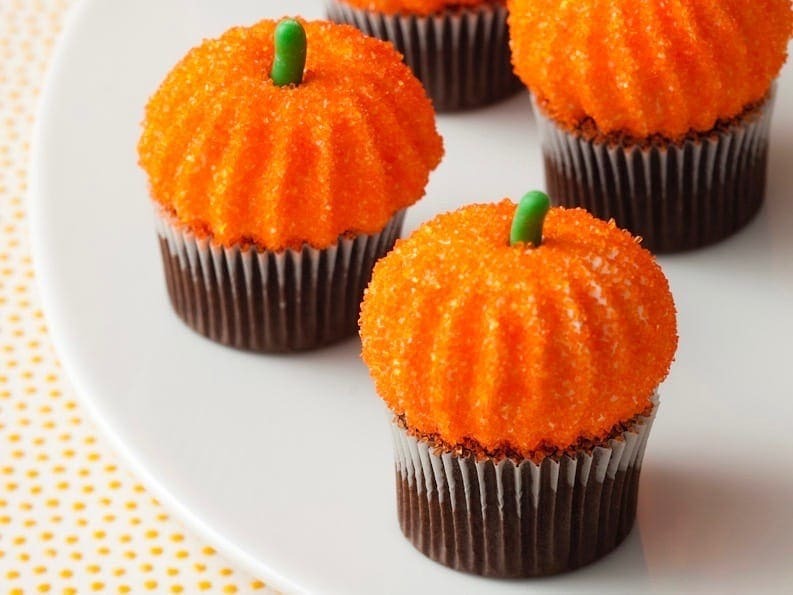 These mini pumpkin marshmallows sit on cupcakes and tease me with their soft, pillowy sugaryness. A simple homemade marshmallow recipe gets piped onto the cake with tiny, cute ridges just like pumpkins, and covered with gorgeous orange sugar. 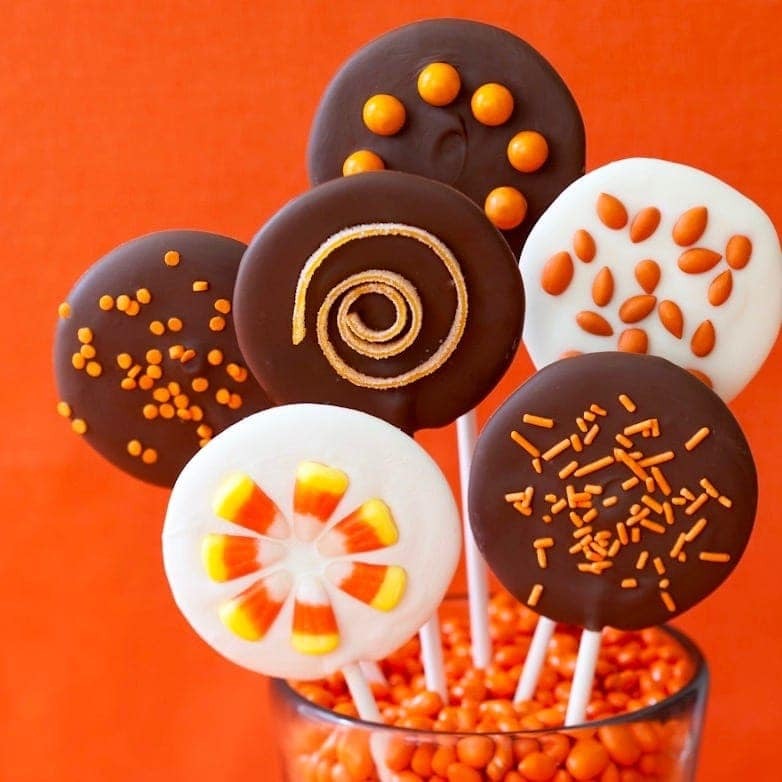 A little licorice stem completes the look for a spectacular Halloween treat. What are you waiting for? I want to squeeze them and then I want to eat them. Taking a bite of one of these cupcakes is a little like eating a marshmallow Peep (but deliciously homemade) on top of your favorite chocolate cake. No, it’s a lot like that. Make them immediately to cause happiness and joy in your life. Make easy homemade Peeps for these cute pumpkin marshmallows! 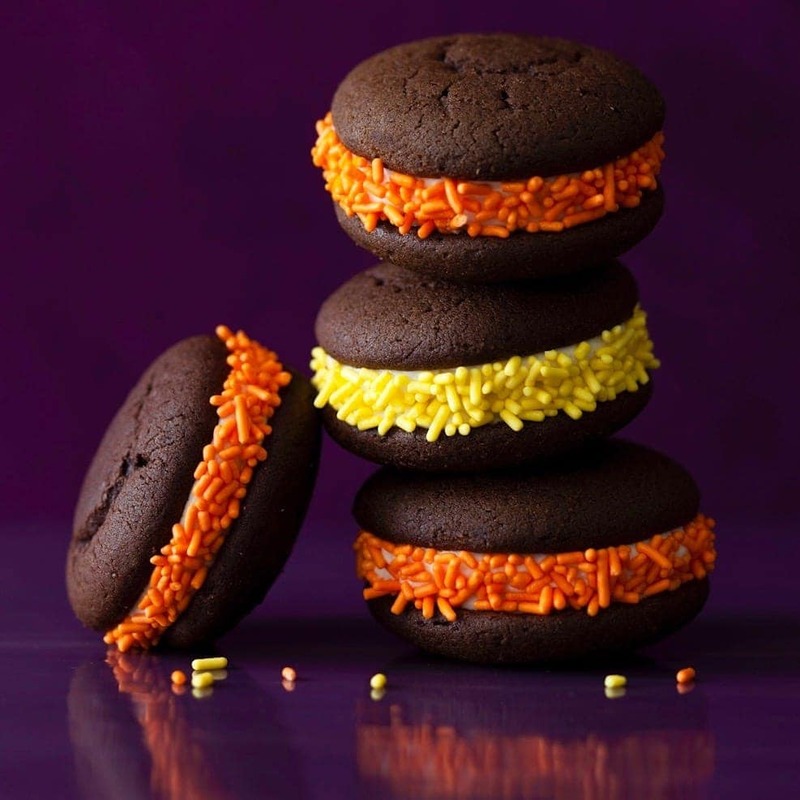 I love a good, sweet Halloween treat, like my Halloween Whoopie Pies, or the kid-friendly Black Cat Cupcakes I make for parties. I now have even more wonderful Halloween treats up my sleeve thanks to my friend Melissa at Bless This Mess! 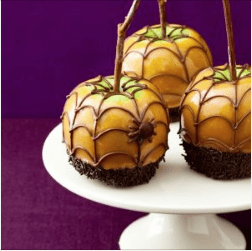 We have banded together this month to share some of our favorite party treats of the season with you, and her 5, count them, 5 Easy No-Bake Halloween Treats give me the greatest arsenal of party food I need. To make these cute pumpkin marshmallows you must make homemade marshmallow! This isn’t so hard if you follow a few simple steps. You use dry, unflavored gelatin and sugar to make homemade marshmallow. First, in the bowl of an electric mixer sprinkle gelatin over ⅓ cup cold water to soften. Next, in a small saucepan over medium-high heat dissolve granulated sugar in ¼ cup water. Then you must wash the sugar crystals from the sides of the pan. You are making a sugar syrup. Boil until the temperature reaches the soft-ball stage (238ºF) on a candy thermometer. Pour this mixture into the gelatin without scraping the pan (because you don’t want any sugar crystals to form!). Then whisk the mixture on medium speed for 3 min. Increase speed to high and whisk until soft peaks form. Next you pipe dollops of the marshmallow onto the cupcakes. Finally add licorice pastel “stems” and coat generously with sanding sugar. What is a French Star Tip? The tip you use for these pumpkin marshmallows is a large, open star tip, and it is number 868. I know a lot of you won’t have an Ateco number 868 French Star tip hanging around (also referred to as #8B), however, it’s worth getting for this recipe alone. 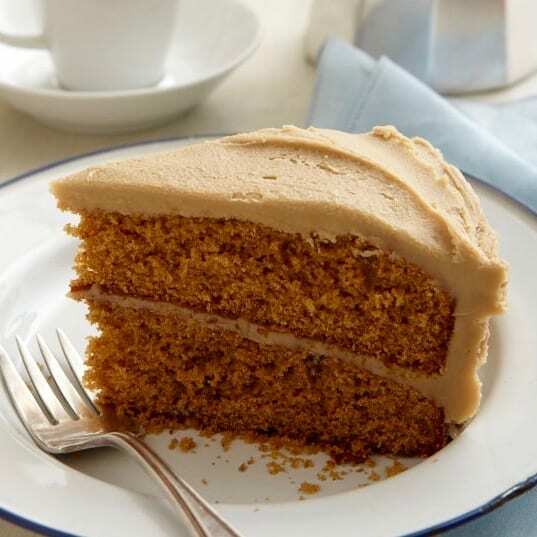 The large piping tips are only a few dollars, and if you don’t have a baking supply store with Ateco products around, buy the Ateco 868 tip with this link. The pumpkin marshmallows are the “frosting” for these mini cupcakes. The tip will come in handy for all sorts of projects after it’s used for mini marshmallow pumpkins. I’ve piped buttercream on larger cupcakes (very cute! ), the filling of twice baked potatoes, and choux paste for pretty éclairs. Essentially you are making pumpkin marshmallow Peeps. Those sugar-coated marshmallow treats from Easter, and all the other holidays they have taken over! The difference is yours are sitting on top of cupcakes as the frosting, and the decoration. The cupcakes can be homemade, or quickly made from a box mix. 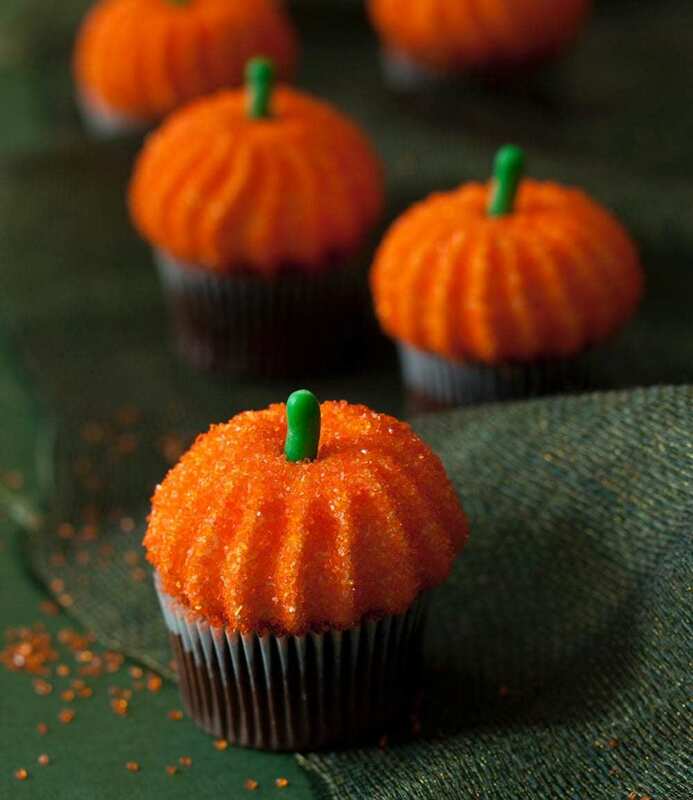 Just make them mini since these pumpkin marshmallows are quite mini, and fit right on top of the small cakes. Things I would tell you if I were standing right next to you! 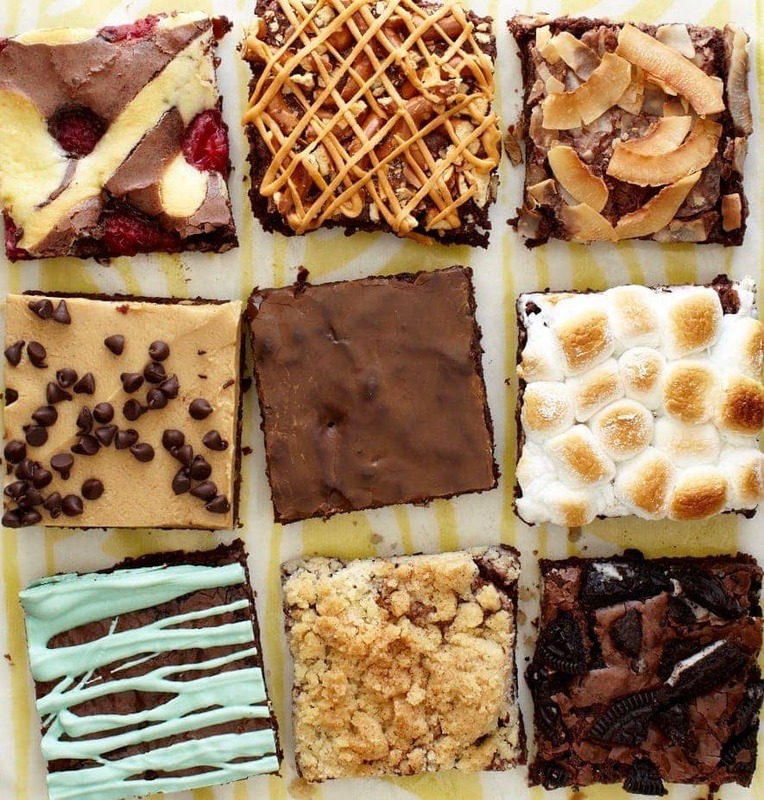 • Have a candy thermometer for the marshmallows. • Make and cool your cupcakes before starting on the marshmallow, so they are ready to go. 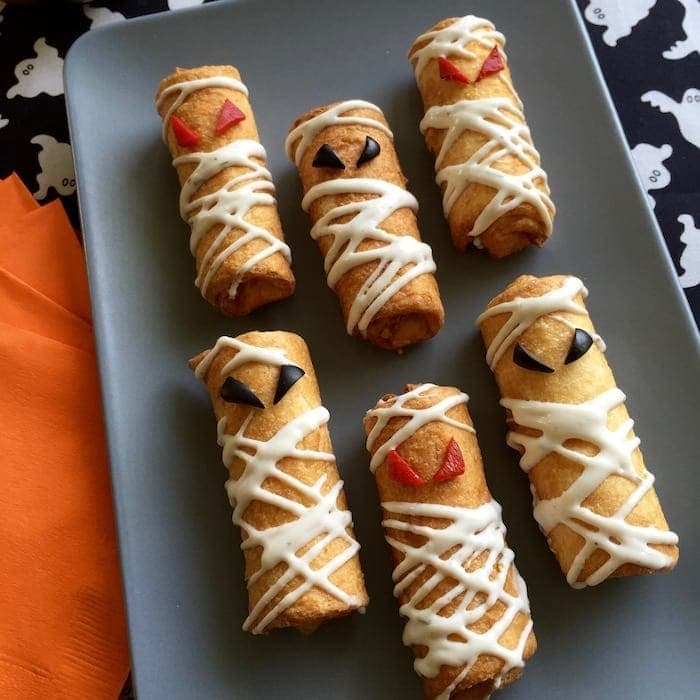 • Having a friend handy when making these is awesome, you can pipe, they can sprinkle sugar. 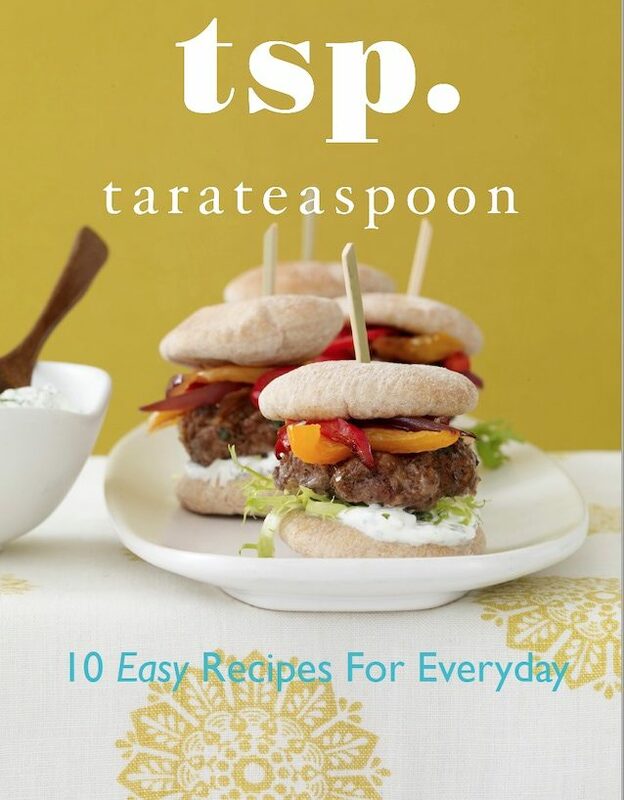 • I dump my orange sugar in a little sheet pan and sprinkle the sugar on the marshmallow over the pan. No mess, and I can transfer any leftover sugar back to a container. Pumpkin Marshmallows on Cupcakes are fluffy, sweet, Halloween treats. 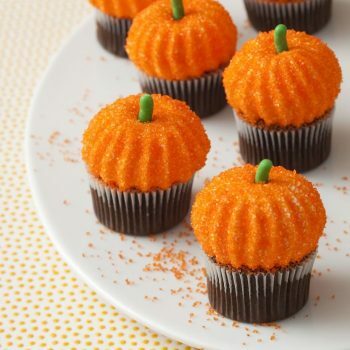 Mini marshmallow pumpkins make these little cakes unique. In the bowl of an electric mixer sprinkle gelatin over ⅓ cup cold water to soften. Prepare a large piping bag fitted with a #868 French star tip; set aside. 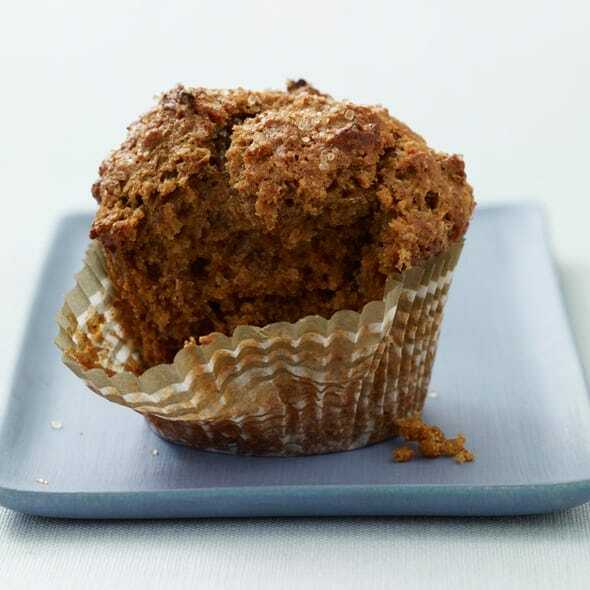 In a small saucepan over medium-high heat dissolve granulated sugar in ¼ cup water, stirring. Remove spoon; with a pastry brush, brush inside edges of pan with water to remove sugar crystals and boil until the temperature reaches the soft-ball stage (238ºF) on a candy thermometer. Pour mixture into gelatin without scraping pan, and whisk on medium speed for 3 min. Increase speed to high and whisk until soft peaks form, 8 to 10 min. 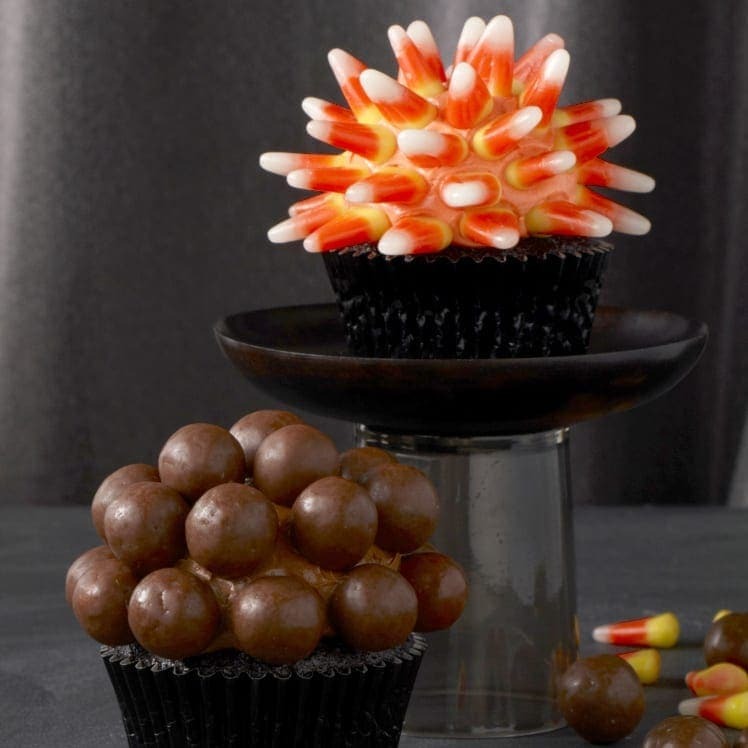 Transfer marshmallow to prepared piping bag and immediately pipe dollops onto the tops of the cupcakes; use your finger to stop the flow of marshmallow from the piping tip and to create a flat top for each pumpkin. (Pipe just 5 pumpkins at a time so marshmallow doesn’t set before you decorate.) Working quickly, add licorice pastel “stems” and coat generously with sanding sugar. Allow pumpkins to set about 1 hr before serving; store covered up to a day. Marshmallow is piped onto cupcakes and covered in crunchy orange sugar. 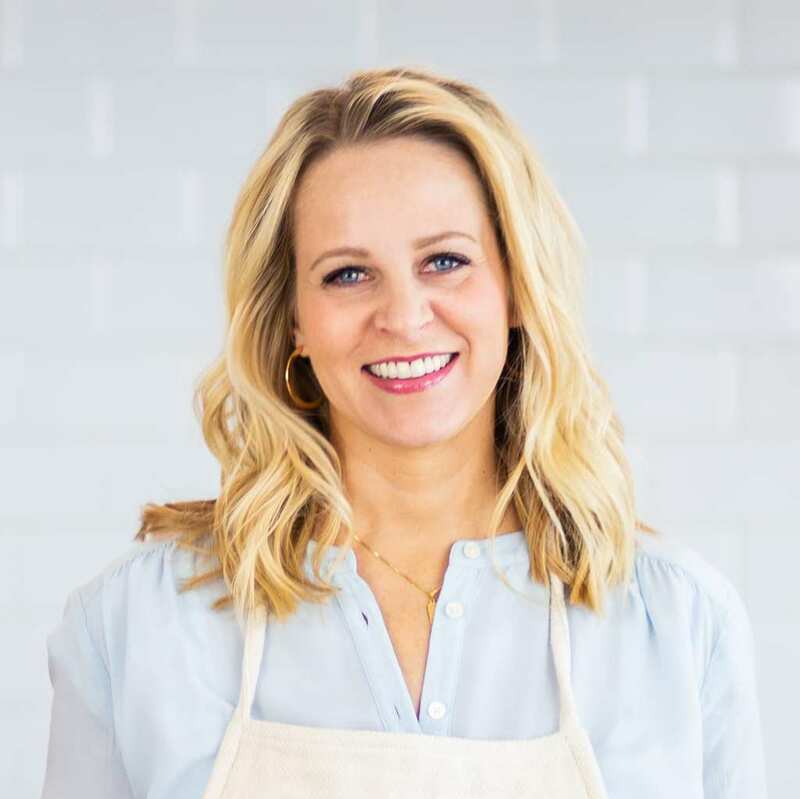 Make cupcakes from a mix or your favorite recipe. Easiest pumpkin patch you’ve ever grown! Cutest little pumpkins! Love these! Seriously SO CUTE! 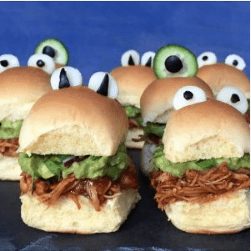 I can’t wait to make these for a party we are planning next week.